Github Project: https://github.com/atkaper/k8s-check-certificate-chains Ingress/nginx (running in Kubernetes / K8S) does not like silly certificates, therefore I created two scripts to find wrong ones. The script get-all-k8s-certificates.sh retrieves all certificates from kubernetes, and the check-certificate-chains.sh script verifies the chain’s are complete and in proper ordering. Added md5 hash check on crt and key file to verify the two belong to each other. 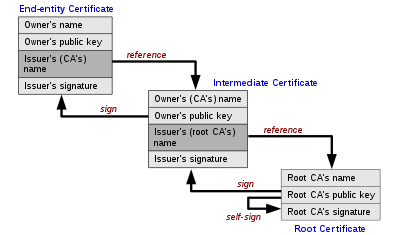 The check-certificate-chains.sh just reports on WRONG certificates. Run with “-v” option to also show OK’s. Thijs.